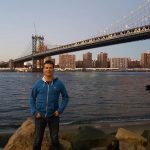 Home #AdventureThatIsLife ERASMUS LIFE IN ALICANTE, SPAIN – PART 5 ¿A QUIÉN CONOCES? 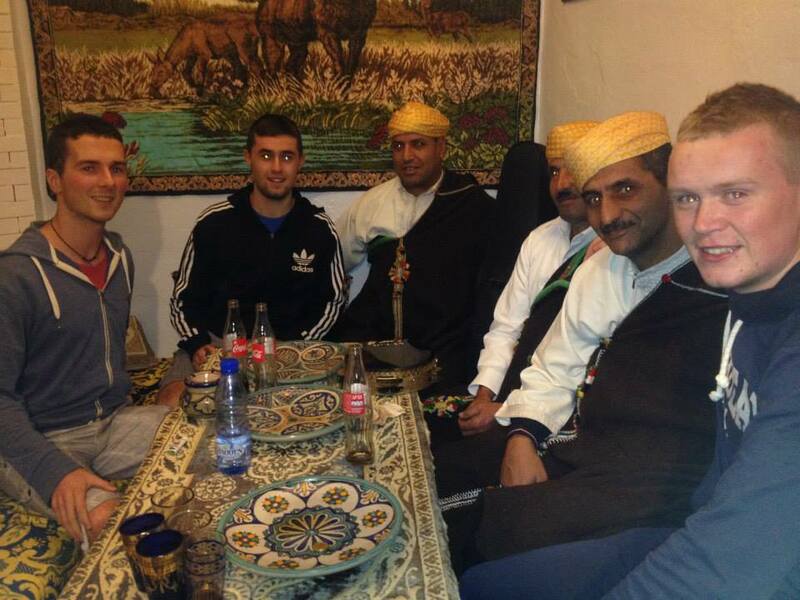 Welcome to the fifth part of a series on my 2014/15 study abroad year in Alicante, Spain. My previous posts have talked about various aspects of my Erasmus year in Alicante – accommodation, language courses, social life, and pastimes. 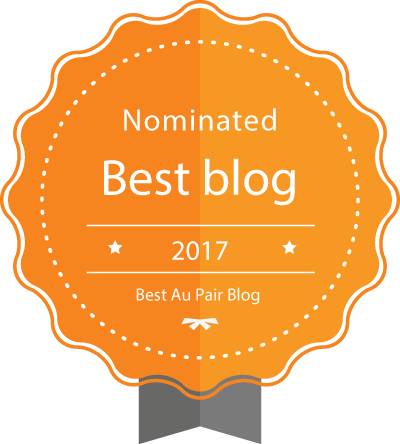 In this post, I am switching my focus to something which binds all of these together – networking. My year in Spain was not just an opportunity to live and study abroad for the first time. It was an opportunity to make valuable connections and friends from all around the world. Seven of us arrived in Alicante from UCC, armed with relatively limited knowledge. We had received some advice and tips from girls who previously studied there, but nothing can compare to immersing yourself in the real thing. Every day of our time in Alicante involved an element of networking. It came to the fore in every situation, from college classes to nights out, soccer games to student trips. It was the ideal way to settle in, get set up, and meet great people along the way. There are a few recommendations in particular that I would make, not just to Irish folks studying abroad, but to students in general. Fortunately, I’m here to tell you all about them. The networking starts before you reach your study abroad destination. In the weeks and months leading up to Alicante, we connected with former Erasmus students from UCC for advice and tips. One of these tips would lead me to connect with an Alicante gent over Facebook. Thanks to that connection, we would finalise our accommodation for the first semester. However, that’s only one of the positives to come from that connection. Myself and one of the lads lived with two alicantinos for that first semester, and we ended up becoming good pals with both of them. Thanks to our landlord, we were made aware of twice-weekly soccer games that brought together a host of international students. Finally, our landlord was also the owner of Carpe Diem, one of the leading local bars for students. Therefore, you could say we were treated pretty well as loyal patrons (and tenants). All of these benefits came from just one connection I made over Facebook. Networking tends to have domino effects; I think this example highlights that effect in all its glory. On we go to the Erasmus Student Network. 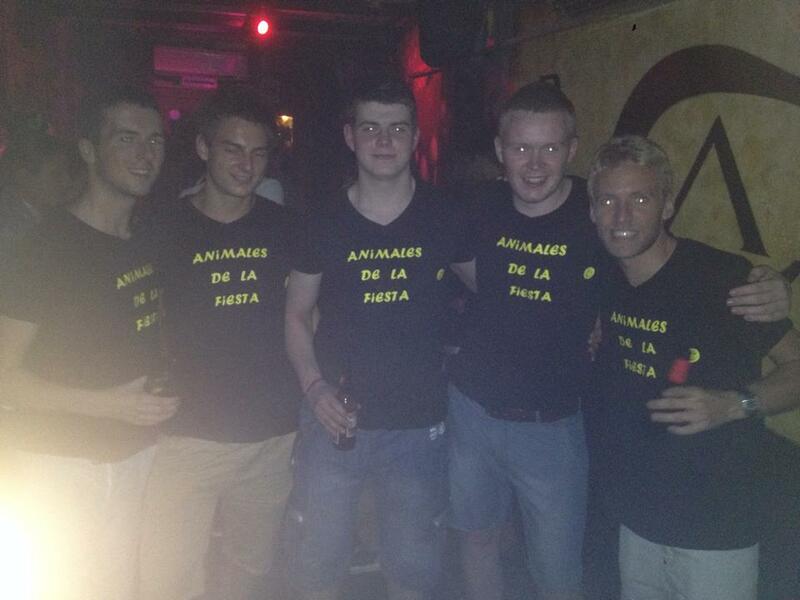 The Alicante version was absolutely brilliant during our year in the city. This non-profit organisation, led on a volunteer basis by former Erasmus students, organises a whole host of activities and events for students throughout the year. Examples include international dinners and trips to cities like Granada, Sevilla, and Valencia. Most notably, the ESN hosts a yearly Erasmus trip to Ibiza just before the peak season kicks off, ensuring that Erasmus students can enjoy it to their hearts’ content. If anything, make sure you join this trip: definitely not one to miss! ESN Alicante sets up an official Facebook group every year where all discussions related to events and activities take place – here’s the 2017/18 edition. Furthermore, the ESN recently sealed an exclusive deal with Ryanair that I’m incredibly jealous of. Once you’ve got the easy-to-obtain ESNcard, you can now avail of a 15% discount on eight flights or four return flights. But that’s not all: you also get free check-in luggage of 20kg! We did a lot of travel during our time in Spain, but this amazing offer makes traveling even easier. 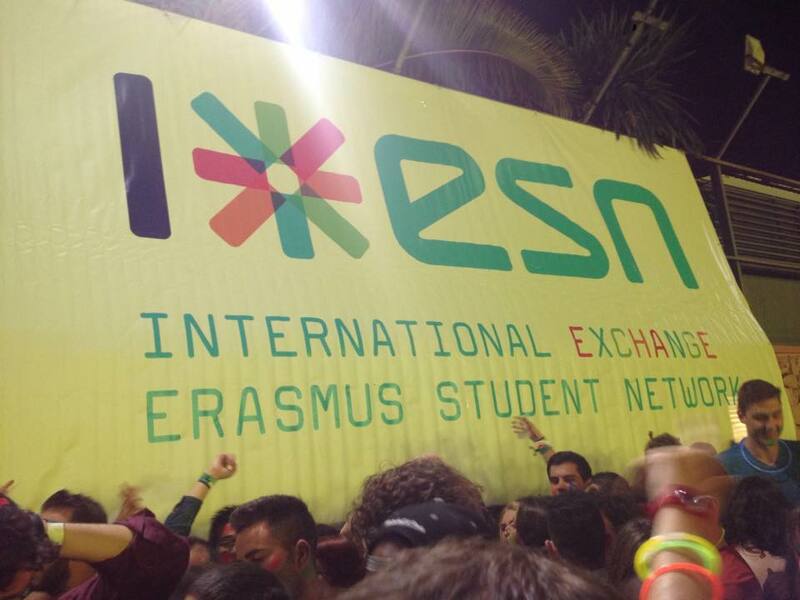 The ESN was brilliant at fostering a sense of community among Erasmus students. We met many wonderful people through ESN events who we’re still in touch with. 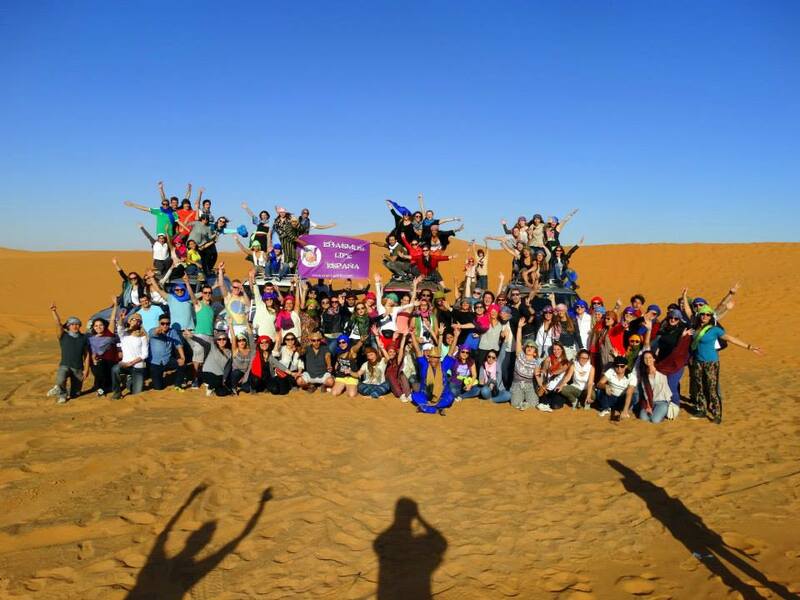 Erasmus Life Alicante is another voluntary organisation that hosts a number of events for international students. I think that they’ve actually upped their game since I was in Alicante as there seem to be brand new parties and trips to places like Benidorm, Cartagena, and Andalucia. However, one trip that we embarked upon with Erasmus Life stands head and shoulders above the rest. This trip was to Morocco in North Africa. An experience like that was not one I expected but it sure was an experience I welcomed. Opportunities to travel to such places with other international students only come about when on Erasmus. We actually found out about the trip through Facebook initially and did further digging before making a previous dream very much a reality. We became good pals with a trio of Swedish girls on the trip, one of whom I randomly bumped into in Cork in 2016! Evidently, the fruits of networking can strike in mysterious and unexpected ways. Keep your ears peeled and eyes open, because you never know what you may hear or see. Many of the events and activities we enjoyed during our time in Spain came about from simple conversations with other locals and students. Being quite unfamiliar with Alicante, we would not be aware of local festivals and traditions until hearing about them. For example, Carnival is widely associated with Brazil, but it’s also quite a big deal in Spain. 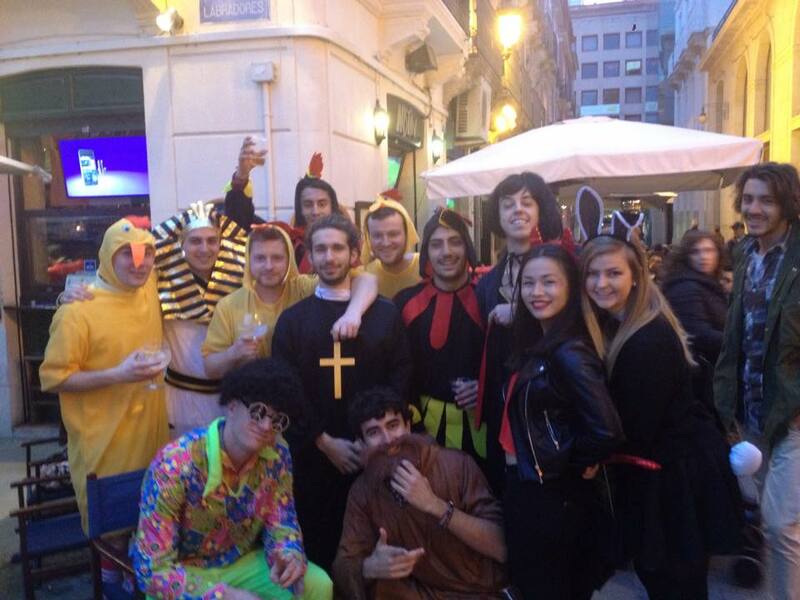 Basically, everyone dresses up in flamboyant costumes and parties for the day and night. It was one of the best days I had in Spain, and one that we certainly weren’t aware of before going there. Hogueras is by far and away the biggest festival in Alicante (and one of the biggest in Spain) but unfortunately I missed it due to my Stateside adventures (woe is me). Word of mouth adds unpredictability to the equation: suggestions from random people can provide a plethora of memorable moments. If I’ve not displayed the importance of networking yet, then I don’t know who or what will. It was absolutely invaluable to us when adapting to life abroad for the first time. We still maintain regular contact with amigos both at home and abroad from our time in Spain. In an age of social networking, real-life networking cannot be surpassed. Feel free to reach out if you have any questions about the points covered above, or about any other aspects of networking in Spain.